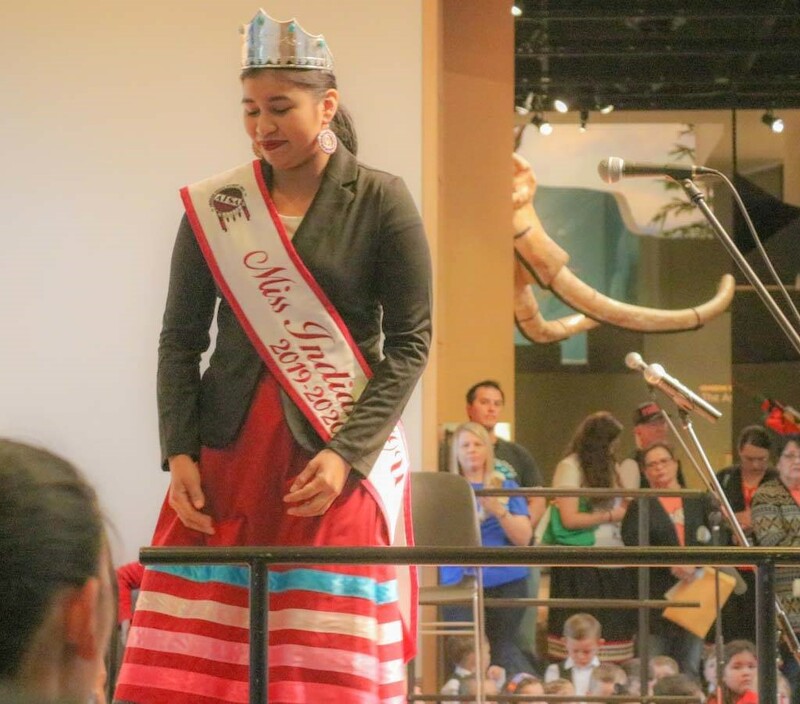 On April 1, 2019, Osage Nation (ON) Language, WELA and Doposka Ahnkodapi students arrived at the Sam Noble Oklahoma Museum of Natural History (SNOMNH), University of Oklahoma, to compete in the 17th Annual Oklahoma Native American Youth Language Fair (ONAYLF). Day one of the distinguished event began in the Great Hall of the Museum. Opening ceremonies started at 9:00 a.m. and included a “Parade of Students” performed by Sigma Nu Alpha Gamma Drum, OU Fraternity. 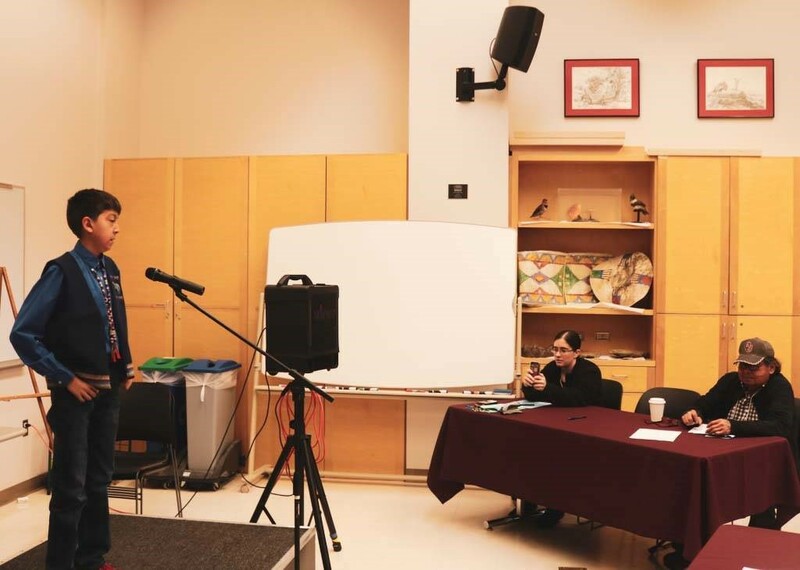 Following the performance and a traditional opening blessing, a welcome was properly given to SNOMNH Interim Director, Daniel Swan. 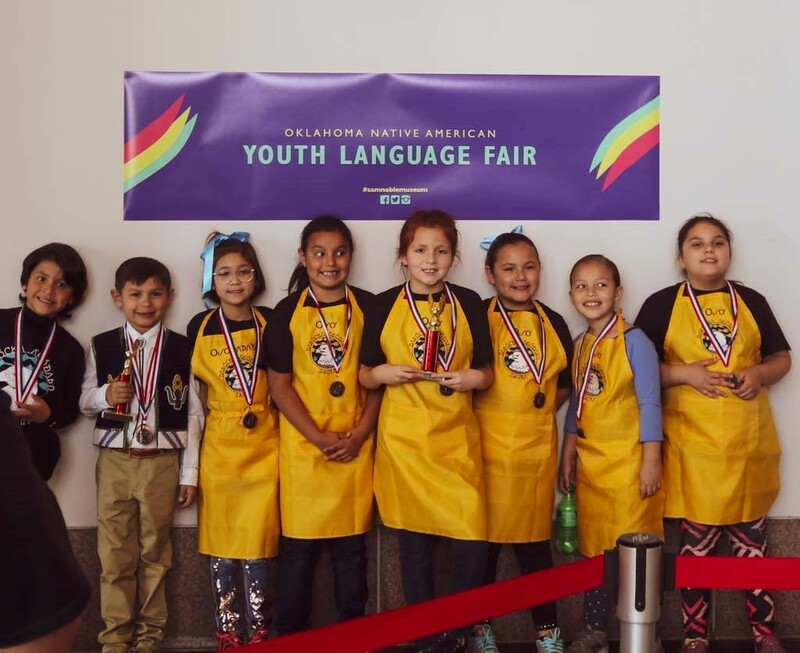 ONAYLF included Pre-K through twelfth grade and included categories that were created to promote spoken language and written literacy skills of the students’ performances and material submissions. 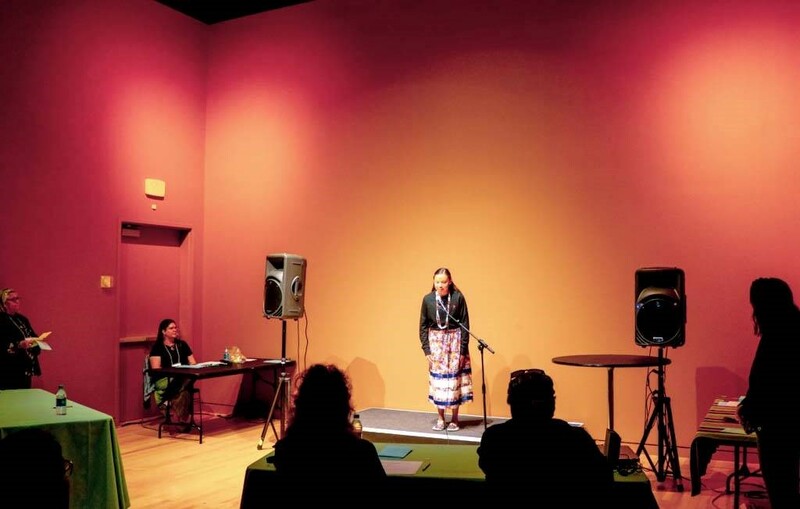 Performance categories included: Spoken Language, Spoken Language Skit/Short Play, Spoken Prayer, Traditional Song, Modern Song, Spoken Poetry, and Master Performers. Material submissions included Poster Art, Books, Comics and Cartoons, Film and Video, and Essay. Materials submissions were entered and judged prior to the event performances. 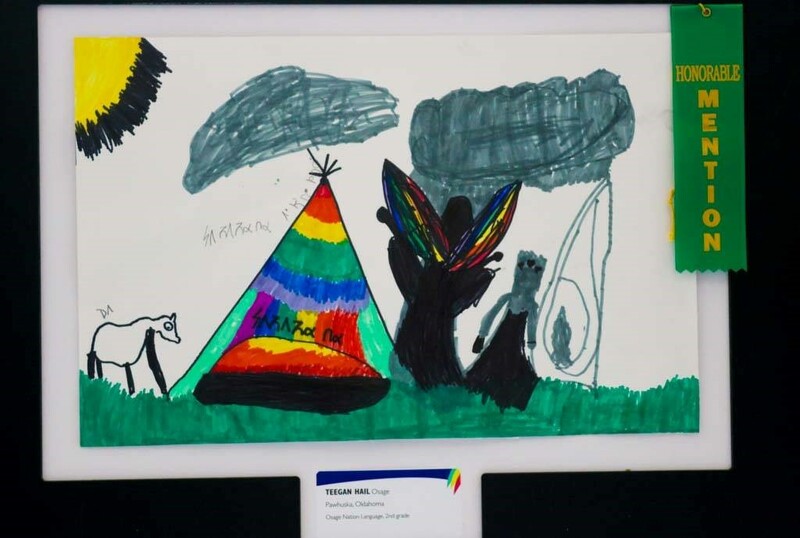 The 2019 ONAYLF Art Theme and Topical Essay was “Growing in My Language”. 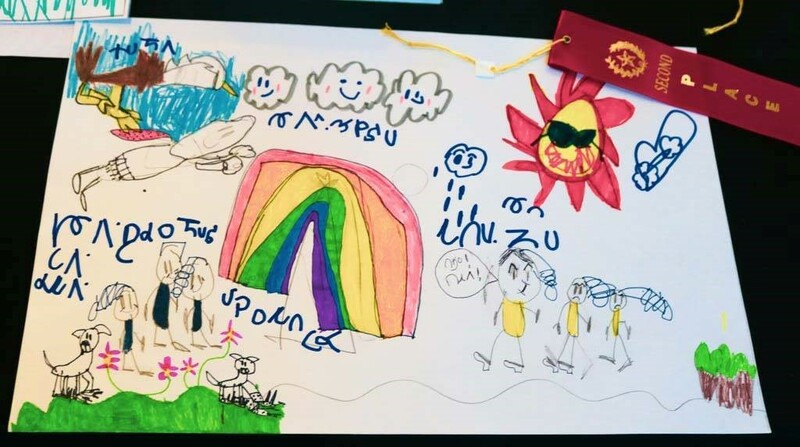 The Poster Art Contest focused on the Language Theme students chose and illustrated. They were judged on artistic merit and the given language theme or language incorporated into artwork. 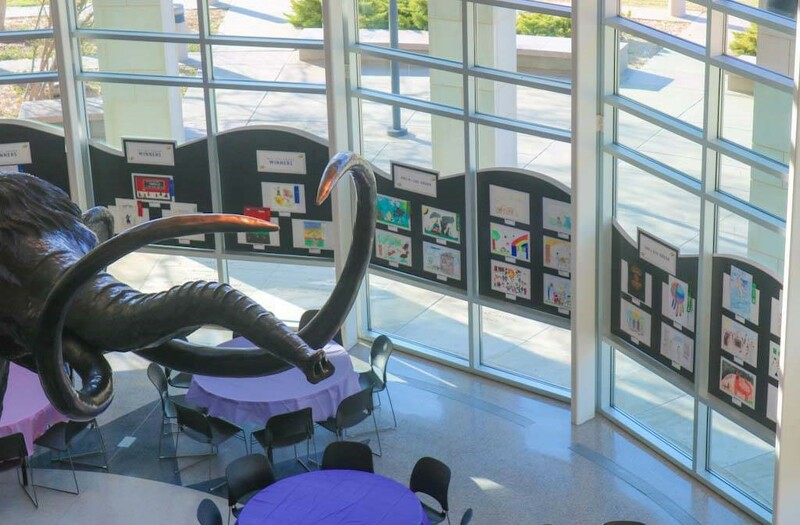 In the material submissions categories, Edward Gray received Second place for Pre-K through Second Grade Comics and Cartoons classification. 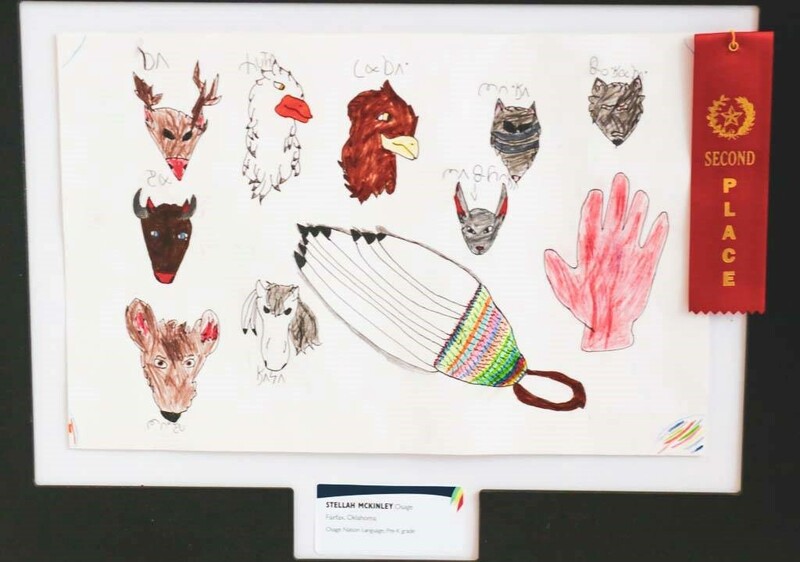 For the Poster Art Contest, the following students received Honorable Mention: Kit Standing Bear (Pre-K-2nd), Teegan Hail (Pre-K-2nd), Kennedy Algieri (6th-8th), Mackenzie Thomas (9th-12th), Jayden Haynes (9th12th), and Courtney Domres (9th-12th). Sam Harding received First place (Pre-K-2nd) and Stellah McKinley received Second place (Pre-K-2nd). 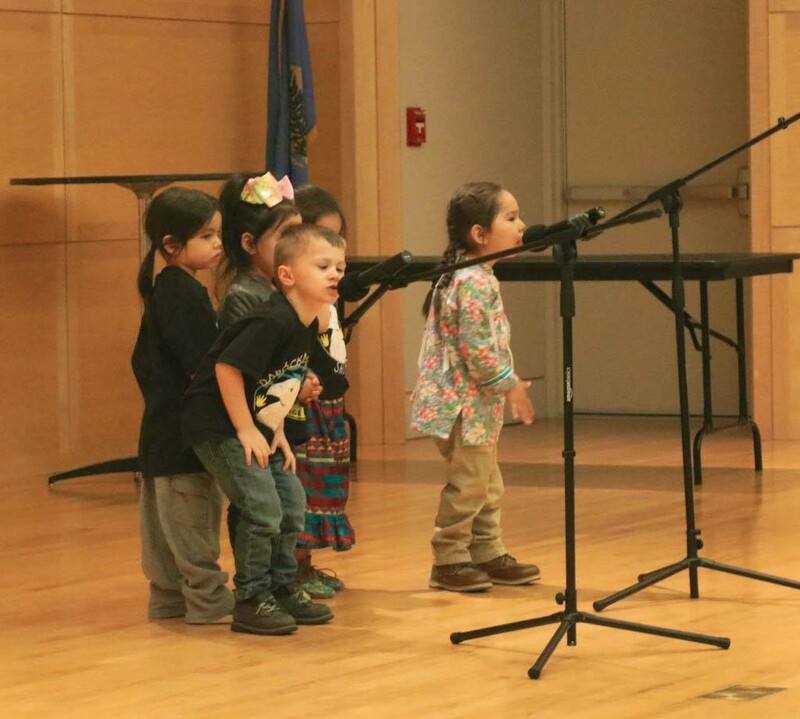 In the Pre-K through Second Grade Individual Traditional Song category, Kit Standing Bear sang “Jesus Loves Me”. 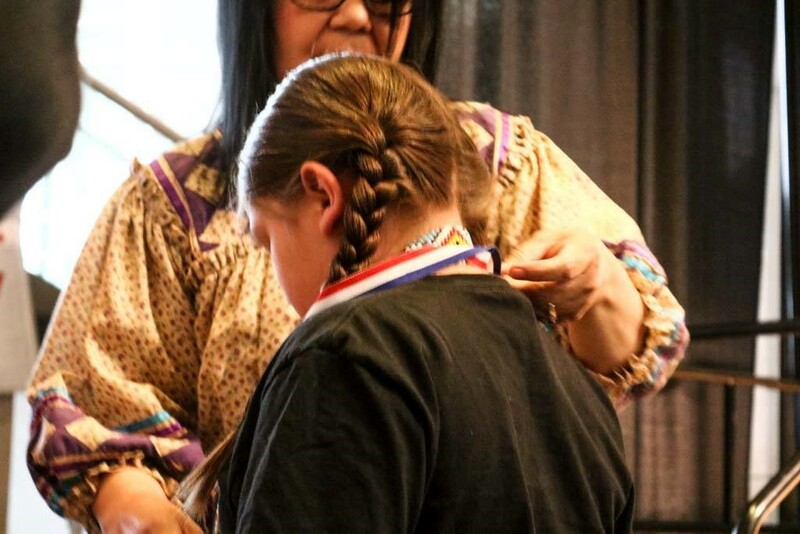 Kristo Revard received Second place for Individual Traditional Song for sixth through eighth grade. He presented the song “Leta^ma^ze”. 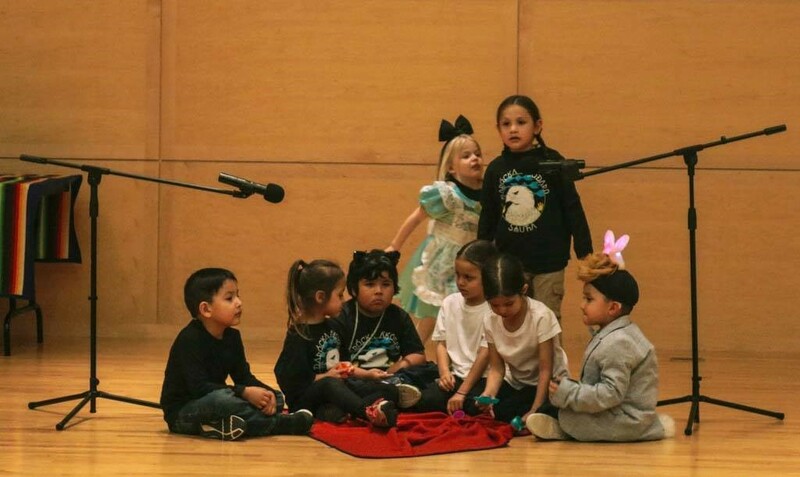 In the Pre-K through Second Grade Individual Spoken Language, Joseph Duty presented “Who I Am: Joseph Duty” receiving First place while Titan Harris received Second place for “Who I Am: Titan Harris” and Luna Jacobs received Third place for “Who I Am: Luna Jacobs”. In the Pre-K through Second Grade Individual Spoken Prayer, Emmett Smith received Second place for “Lord’s Prayer”. 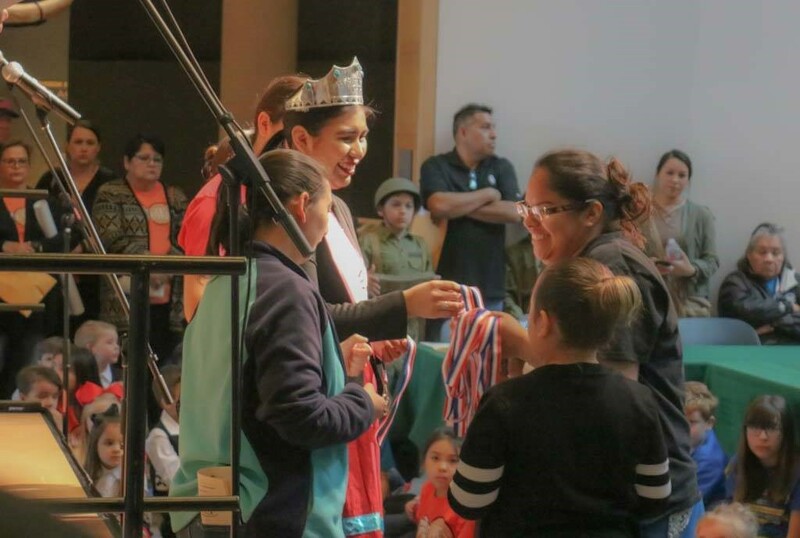 For the Sixth Grade through Eighth Grade Individual Spoken Prayer, Alex Elizondo received First place while his sister Emmary Elizondo received Second place in the same age group and category. 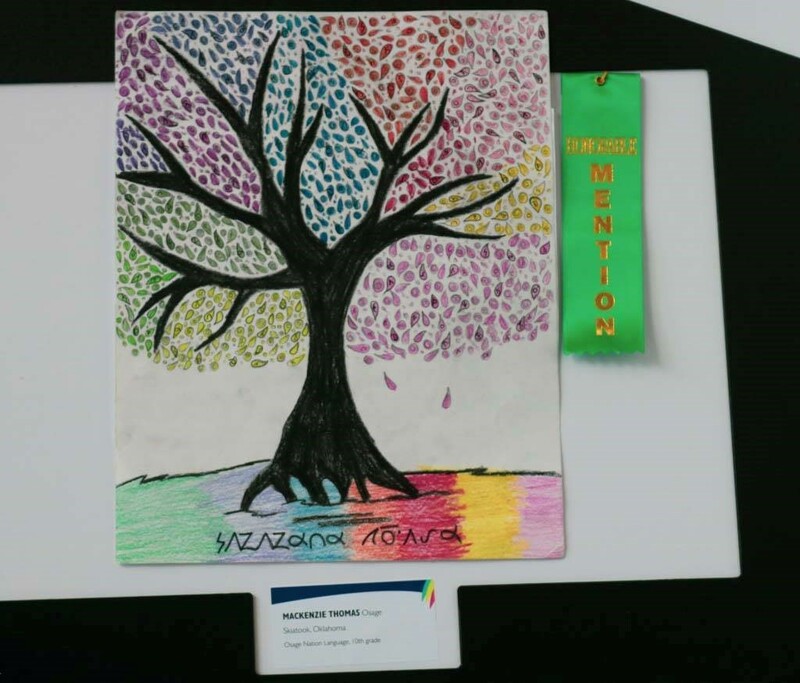 In the Book and Literature category and Ninth through 12th grade age group, Mackenzie Thomas and Courtney Domres received Honorable Mention. 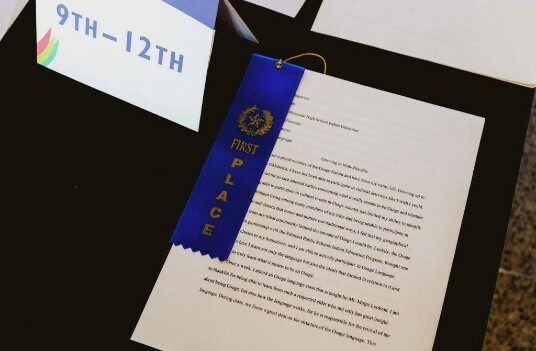 In the Topical Essay category, Estella Seagraves from Edmond, Oklahoma was given a first place ribbon in the Ninth through 12th grade age group. 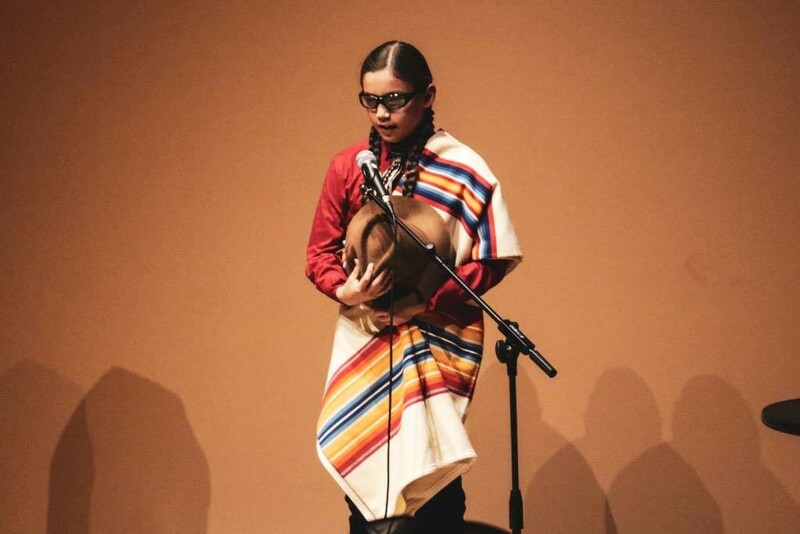 She was asked to read her essay during opening ceremonies on the second day of performances. 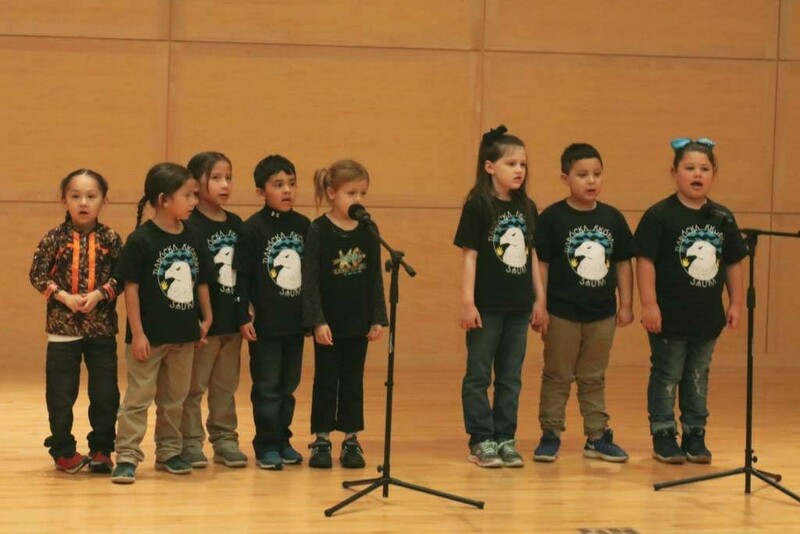 In the Small Group Modern Song category, Daposka Ahnkodapi Kindergarten placed Third performing “Head, Shoulders, Knees, and Toes”. 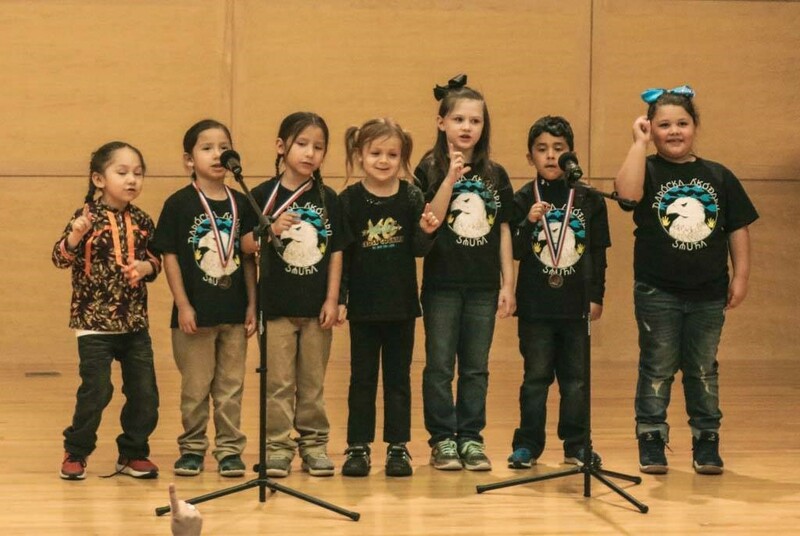 They also placed Third with their performance of “Baby Shark”. 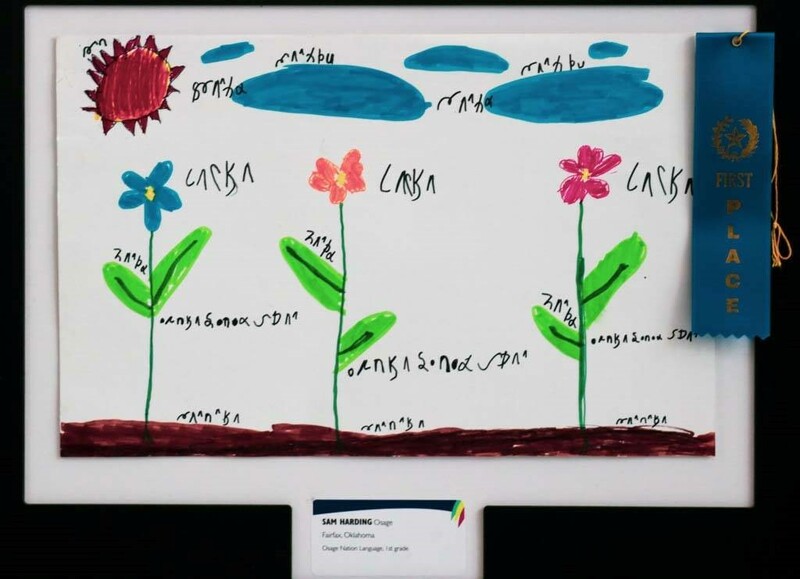 Daposka Ahnkodapi-Thabri received Honorable Mention for their presentation of “If You are Happy and You Know It”. 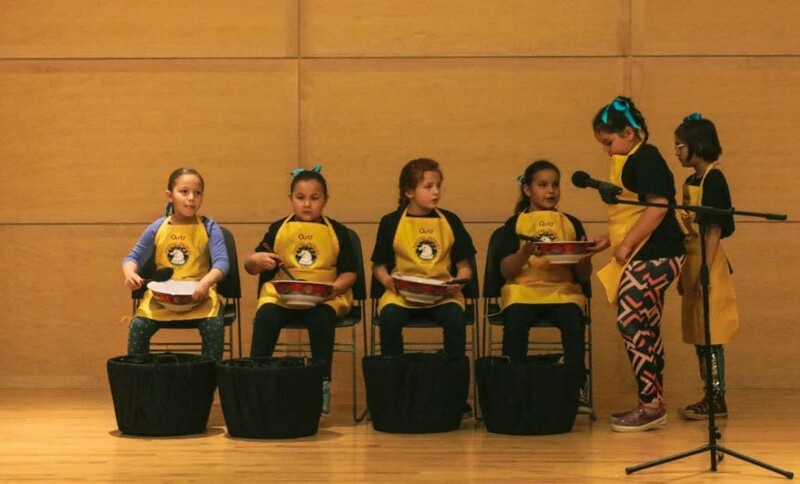 In the Pre-K through Second Grade Small Group Skit or Short Play category, Doposka Ahnkodapi took First place for “Osages on a Picnic”. Fairfax WELA took Second for their performance of “Getting Ready for Dinner”. 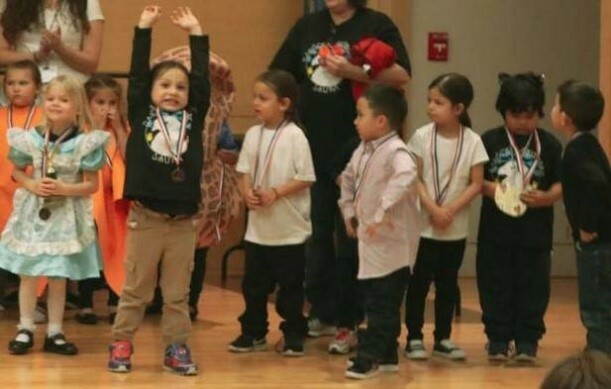 In the Pre-K through Second Grade Large Group Skit or Short Play category, Daposka Ahnkodapi placed First for “InLonshka: Our Cooks” and placed Second for their skit “Mad Hatter’s Tea Party”. 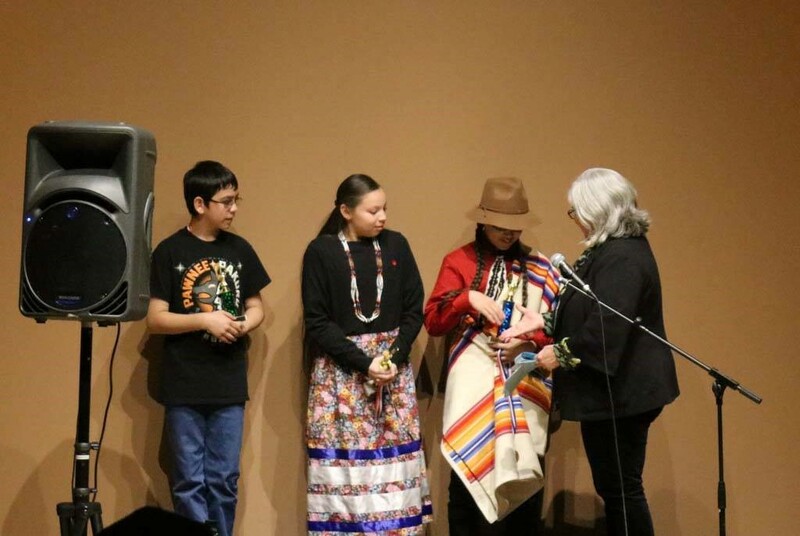 The event sponsors included SNOMNH and SNOMNH Museum Members, the University of Oklahoma Department of Native American Studies, the Chickasaw Nation, Chickasaw Nation Industries, Cheyenne and Arapaho Tribes, Choctaw Tribe of Oklahoma, and the Osage Casino. 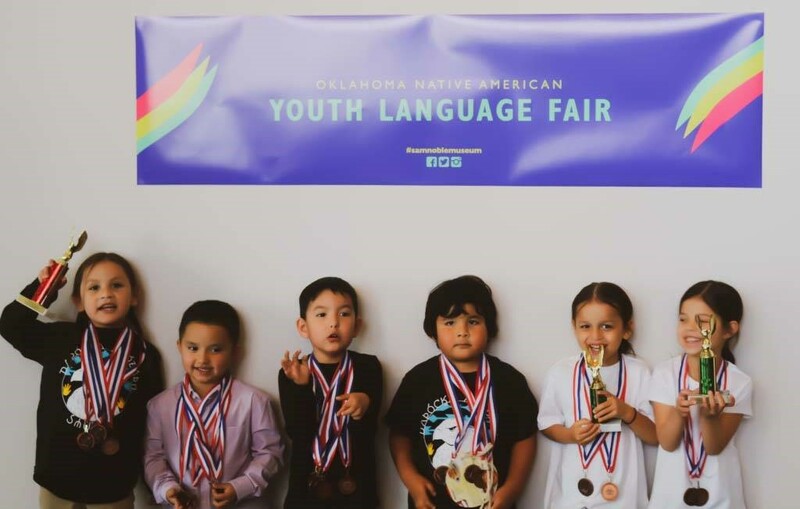 To learn more about preserving our language, you can access the ON Main Calendar by visiting: https://www.osagenation-nsn.gov/calendar and view available Language classes offered in Pawhuska, Hominy, Skiatook, Fairfax, and Bartlesville; or visit https://www.osagenation-nsn.gov/who-we-are-language-department/calendar. Free online classes are available at osagelanguage.com. 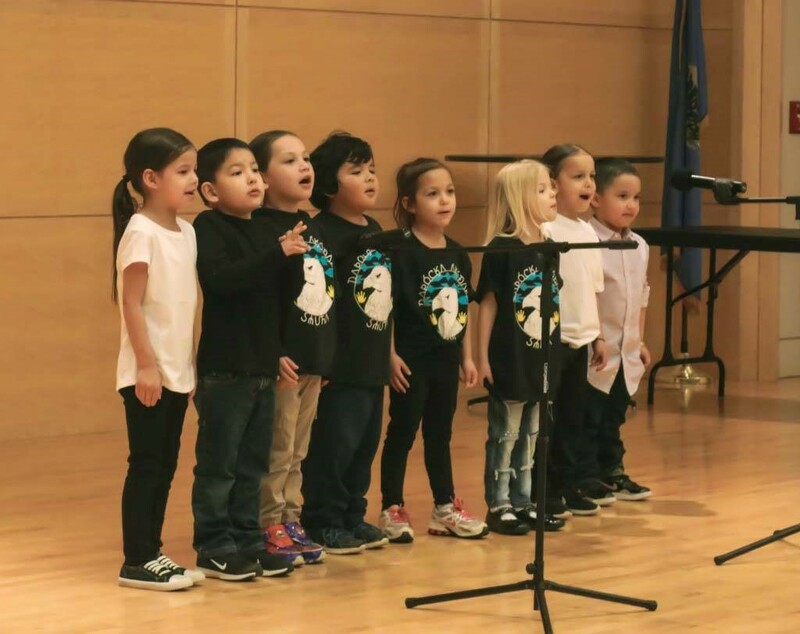 Don’t forget, the Osage Language App is available to be downloaded to any Android or Apple device.